As a fully qualified practitioner, Eddie O’Grady offers both dry needling and electro-acupuncture at his clinics based in Tralee and Dingle. What is dry needling in Tralee? Dry Needling is a treatment technique whereby a sterile, single-use, fine filament needle (acupuncture needle) is inserted into the muscle to assist with decreasing pain and improving function through the release of myofascial trigger points (knots in the muscle). Electro-Acupuncture involves the use of an electrical micro-current, which is attached to the needle to further stimulate the muscle and is also extremely effective in aiding the rehabilitation of nerve fibres. Dry Needling is a not the same as acupuncture, although there are similarities between the two techniques. The main difference between Dry Needling and acupuncture is the theory behind why the techniques work. Dry Needling is primarily focused on the reduction of pain and restoration of function through the release of myofascial trigger points in muscle. In comparison, acupuncture focuses on the treatment of medical conditions by restoring the flow of energy (Qi) through key points in the body (meridians) to restore balance. A myofascial trigger point, also known as a knot in the muscle, is a group of muscle fibres which have shortened when activated but have not been able to lengthen back to a relaxed state after use. A myofascial trigger point is characterised by the development of a sensitive nodule in the muscle (Simons, Travell & Simons, 1999). This occurs as the muscle fibres become so tight that they compress the capillaries and nerves that supply them (McPartland, 2004; Simons, et al., 1999). As a result, the muscle is unable to move normally, obtain a fresh blood supply containing oxygen and nutrients, or flush out additional acidic chemicals (McPartland, 2004; Simons, et al., 1999). In addition to this nodule, the remainder of the muscle also tightens to compensate (Simons, et al., 1999; Simons, 2002). The presence of a myofascial trigger point in a muscle can lead to discomfort with touch, movement and stretching; to decreased movement at a joint; and even a temporary loss of coordination (Simons, et al., 1999). What Causes a myofascial trigger point? 1.Injury – the muscle will tighten in an attempt to reduce the severity of an injury. How does dry needling in Tralee work? Dry Needling assists with decreasing local muscular pain and improving function through the restoration of a muscle’s ability to lengthen and shorten normally by releasing myofascial trigger points. When a fine filament needle is inserted into the center of a myofascial trigger point, blood pools around the needle triggering the contracted muscle fibers to relax by providing those fibers with fresh oxygen and nutrients, as well as by flushing away any additional acidic chemicals. This, in turn, leads to the decompression of the local blood and nerve supply. When is it appropriate to use dry needling in Tralee as a form of treatment? to assist with pain management, and to restore movement at a joint if inhibited by myofascial trigger points. What will you feel during dry needling treatment? During a Dry Needling treatment, you may feel a slight sting as the needle is inserted and removed. However, this discomfort should last no longer than a second before settling.A brief muscle twitch can also be experienced during a Dry Needling treatment. This may occur during treatment when the needle is inserted into a myofascial trigger point. Where does dry needling fit within your rehabilitation program? 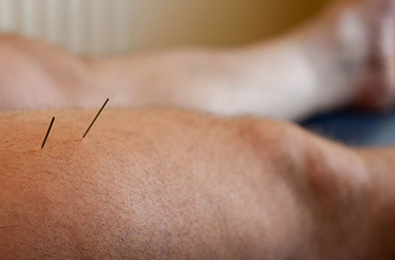 Dry needling is one of many techniques that can be utilised by your physiotherapist to assist with your rehabilitation. Dry Needling is often used in combination with other techniques including massage, manual therapy, and exercise prescription. What are the side effects of dry needling in Tralee? Every form of treatment can carry associated risk. Your physiotherapist can explain the risks and can determine whether Dry Needling is suitable for you based on your injury and your general health. Everybody is different and can respond differently to various treatment techniques, including Dry Needling. In addition to the benefits that Dry Needling can provide, there are a number of side effects that may occur, including spotting or bruising, fainting, nausea, residual discomfort or even altered energy levels. However, these symptoms should last no longer than 24 to 48 hours after treatment. When Dry Needling is performed, single-use, sterile needles are always used and disposed of immediately after use into a certified sharps container. Can you exercise after dry needling in Tralee? It is recommended to avoid strenuous or high impact activities immediately after dry needling, to allow the body time to recover, and to maximise the benefits of the treatment. Should you require further information on dry needling or electro-acupuncture please do not hesitate to contact me(Eddie) on 086-7700191 at any time.